Deals double damage to players. 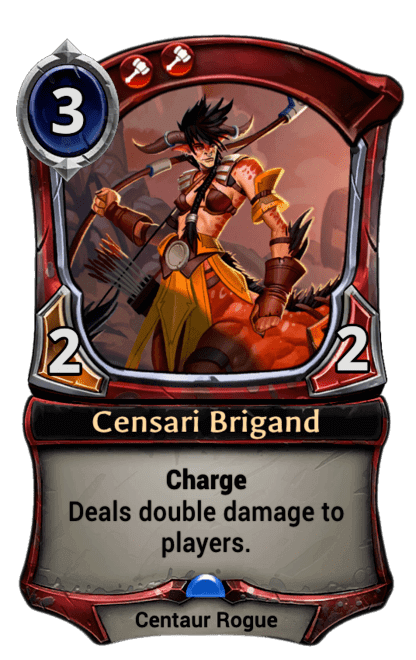 If Censari Brigand gains the battle skill Double Damage, it will double the Double Damage. For example, it hits the player with base stats and will do 4 damage. When it hits a player after it's gained the battle skill Double Damage, it will do 8 damage.